There’s really nothing like discovering Rotorua for the first time. Your first time soaking in natural hot springs, your first time taking in that oh so distinct scent of sulphur in the air, or your first time bungy jumping – there’s just something magical about getting to unwrap a new place with your own eyes. 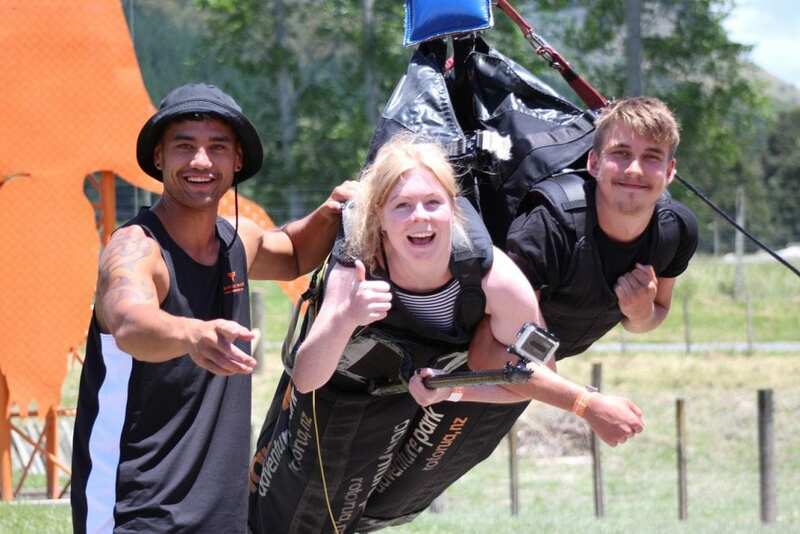 If you only have three days to explore Rotorua, here’s a few of our favourite things to see and do – an action-packed itinerary of the best Rotorua adventures you can experience in 3 glorious days. In the afternoon, you can take things down a notch and enjoy a stroll through the beautiful Government Gardens and Kuirau Park (score yourself a free foot bath in the mineral hot pools there) back in town. Or unwind at Polynesian Spa – a world-leading, hot mineral bathing facility where you can enjoy a good hot soak and easily lose track of time. That’s what holidays are for right? Nothing prepares you for an evening experience Tamaki – even after reading the reviews and looking through photo galleries, you’ll still find yourself at a loss for words because a night at Tamaki Māori Village is something you really have to see to believe. You’ll be swept away into another world – where Māori legends come to life through song, dance and ancient rituals – all the while enjoying a traditional Māori feast. Now that you’ve conquered land, it’s time to venture onto water. Start your day with a morning white-water rafting expedition with the friendly crew at Kaitiaki Adventures. You’ll come face to face with Tutea Falls – the world’s highest commercially rafted waterfalls with a thrilling 7 metres drop. That’s another big tick off the bucket list! The Redwoods Whakarewarewa Forest is a must-do for visitors but is just as popular with the locals. You can walk, hike, run or mountain bike here, and even explore the forest through a network of suspension bridges 12 metres above the ground while on a Redwoods Treewalk. Treewalkers from around the world who come for the Redwoods Nightlight experience often leave with a strong desire to build a treehouse back home. Maybe the air is better up there, or the birds eye view puts everything into a different light, but seriously, this is one of those places that you will never forget. A visit to Wai-O-Tapu is kind of like the pièce de résistance of your trip – a kind of grand finale some might say. Simply put, this geothermal park is something out of this world. Bubbling mud pools, spouting geysers, it’s like a trip back in time where dinosaurs ruled the earth. Be prepared with ample space in your camera to capture all the Instagram-worthy moments you’ll find here. With lakes abound in Rotorua, you will be spoiled for choice around these parts. Lake Tarawera’s Hot Water Beach (aka Te Rata Bay) is a stunning, secluded spot that is only accessible by water taxi or by taking on the Tarawera Trail (an advanced 5-6 hr hike). Either way, your efforts will be rewarded big time when you get to the natural hot springs streaming down into the pristine lake. There’s even a DOC campsite if you fancy an overnight stay under the stars.